We’ve all heard the statistics when it comes to new leads: 80% of the conversions and sales go to only 10% of the businesses out there. Why? Because those businesses followed up consistently and repeatedly. But making sales isn’t just about converting prospects. It’s also about staying in touch with your current and past clients. How many times have you attended a conference, came home with a wad of business cards, felt great about the connections you made, were excited about the possibilities they presented… and then never did anything with those cards? You’re not alone. In fact, you’re probably in the majority!! 10% of the people are getting 80% of the business. Yep, that’s right…only 10%. Why? Is it because they’re real go-getters, outgoing, have all the time in the world and are not afraid of rejection? No! There’s a simple reason… It’s because they are following up! 80% of sales close after the FIFTH — yes, fifth — contact!! But only 10% of people make that leap. 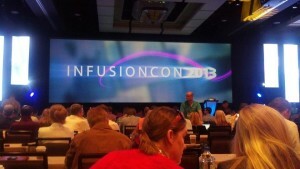 Last week I was at InfusionCon and met a ton of amazing people. Some of them are good prospects for both my Infusionsoft training that I offer and the Virtual Assistant services my team provides. Stop and think about the event. Before you attend your next networking event, why are you going? What kind of people will be there? Who are you hoping to meet? What is your goal? What do you really hope to accomplish? Make notes. While you’re talking to people (or immediately afterward), be sure to make notes on their card about what you talked about. You may think you’ll remember, but after three days of networking, it’s easy to forget even the most important bits of information! Have a plan. 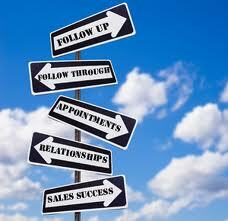 Before going to the event, what will your follow up plan be? Will you send an email, make a phone call, or send a card? And don’t just do one thing and stop; consider doing all three. Remember, 80% of the people buy after the fifth contact!! Schedule the time on your calendar NOW to implement your plan. Maybe the day after you get back from the event, you’ll follow up with an email. Then a week later, make a phone call. Whatever your follow up sequence looks like, put it on your calendar! Connect with the people on social media. Make sure to like their fan page, send them a friend request, follow them on Twitter, and connect on LinkedIn. This is a great way to stay connected! Then respond to posts and tweets and offer suggestions to their questions. Be authentic in connecting with them and learn what’s important to them and their business. You’ve heard the saying, “It’s the little things that count.” Remember in your follow up, it is the little things that count. Be real and authentic and make each communication personal. Make your new connections feel important and that you really care about them!! 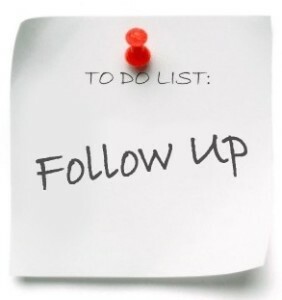 What do you do as part of your follow up? Are You In The 10%? request information from your website, do they receive that information? Do you continue to nurture them beyond that? Will they think of you when they are ready to buy? When you attend a networking event, do you follow up with the people you met? Or do you bring your business cards back to your office, lay them on your desk and months later, they’re still lying there – untouched? If you’re following up and nurturing, just like you should be, congratulations—you’re in the 10 % club! It’s fact that over 80% of sales close after the fifth call, so in order to make a sale, you have to reach out a handful of times. But if only 10% of businesses are following up more than five times, that means 90% of businesses are leaving money on the table (and 10% are getting all the work). Following up with prospects and clients should be—needs to be—a foundational piece of your marketing strategy. It doesn’t have to take a lot of time, come off as salesy, or be complicated. Your follow-up just needs to be consistent, relevant, and happen on a regular basis. Once you set up your templates and scripts, using a sales and marketing system like Infusionsoft can help your nurturing to happen automatically. The marketing campaigns can be geared towards each specific service or product you offer and Infusionsoft will also allow your follow up to change course based on the actions of the reader. Minimal work on your part! To start mapping out your campaign, list all the items in your arsenal. This includes your free offers and your products or services. Determine what your goals are. Do you want people to make an online purchase? Do you want to have a conversation? Do you want them to provide more information about their interest or business? Do you want to build a long-term relationship? Your goals might be different for each of your freebies and products/services. through the good ole postal service. Remember the rule that 80% of sales happen after five contacts are made…so that should be your minimum requirement! If you’d like to see how you can improve your follow-up, or to see if Infusionsoft is right for you, click here to schedule a complimentary strategic consultation. Last week I attended Ali Brown’s Shine event in Dallas, Texas. It was great listening to all the awesome speakers, but was even better getting to network with so many women entrepreneurs. If you’re attending a huge event like Shine, a local Chamber of Commerce event, or something in between, here are a few tips to help you make the most of your opportunities! Take plenty of business cards. I was surprised how many people had forgotten their business cards at home, ran out, left them in the room, or just hadn’t ordered any. What?! They missed huge opportunities to connect with prospects and circles of influence (those that will never do business with you but are in a perfect position to refer prospects to you). Make sure your business cards are up-to-date. Has your email address recently changed? Or maybe your phone number? No problem, but make sure you order new cards. Do not cross out the old information and write in the new. Business cards are inexpensive nowadays and won’t cost much to order new ones to portray your professionalism. Ask for the other person’s business card. Yes, it’s great to get your cards in other peoples’ hands, but it’s even better to get their card. Keeping the information. You do not necessarily need to keep all the business cards, unless that’s your preferred method of storing that information. If you do keep business cards, organize them in your binder or rolodex. You could also use scanning software like NeatWorks that allows you to scan the business cards, catalogs the information and keeps a copy of the business card in the program. Or you can enter that information in your contact management system. No matter which system you use, be sure to make a note of where you received it. That information might come in handy later! I hope these five tips will help you make the most of your networking opportunities! Please share your tips below! 1. No one is using the program. If you’re not getting any referrals, you either haven’t created a strong enough rewards program, or people don’t know about it. If you think the issue is with promotions, start mentioning your referral program at every opportunity. Add it to your regular mailing, mention it to all your customers, and consider doing a separate mailing to promote your program. 2. The referrals you receive aren’t interested. If you’re getting plenty of referrals but they’re not becoming customers, that means you need to increase the quality of the referrals you’re receiving. Make sure you let your customers know you’re rewarding based on qualified leads. You can also ask a qualifying question on the referral form to make sure your customers are thinking in the right direction. For instance, if you sell cosmetics, you could ask your current customers to list the product lines their friend currently uses. This simple question will make your customer think twice about writing down anyone and everyone, without regard to whether they fit your ideal customer. 3. You’re getting too many referrals. This shouldn’t be a problem unless the referrals you’re receiving aren’t qualified. Otherwise, most people wish they could be in your shoes – so overrun with business that you’re wondering how to turn off the flow. 4. Your program is too expensive. If it seems like you’re spending more money on referral rewards than they’re worth, there’s either a problem with your perception, or you’ve stacked the rewards too high. Most businesspeople know how much a new customer is worth to them in terms of business over the next year or years. Compare that amount to the amount you’re paying to your referrer. If each new customer is worth about $50 in new business over the next year, you don’t want to offer more than that as a referral bonus. If you are offering $100 credit for each new customer referred, no wonder it seems expensive – it is! Adjust accordingly. 5. Your program is taking too long to administer. 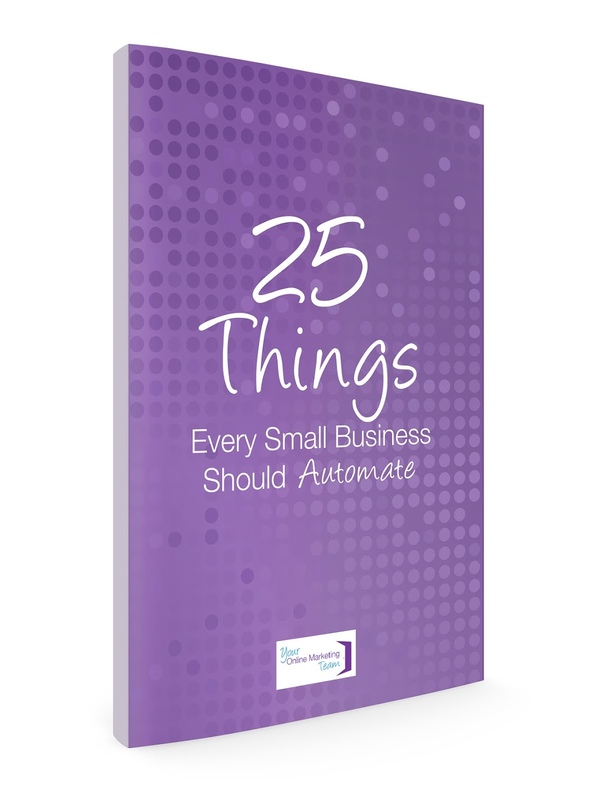 If you’re spending hours each week administering your program, you need to simplify and automate. Create systems to help you track and reward your members, and streamline your process so it can operate quickly and easily. Cut out extra steps, get rid of things like punch cards and by-hand tracking, and make it all digital if possible. 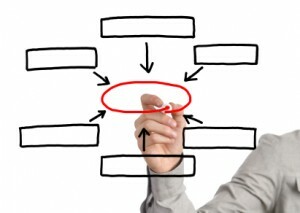 If that is too complex for you, a single index card with names and numbers of referred clients can work, too. Pick something that fits your style and remember that simple is best. If you’d like help setting up a system for your referral program, call us…we can help! Do You See Yourself As A Salesperson? This week I’m discussing a scary word (in honor of the month of October): SALES! As entrepreneurs, we don’t really think of ourselves as salespeople, but we are. We hold many hats in fulfilling our entrepreneurial dream, from salesperson to bookkeeper to quality control to troubleshooting — maybe even IT, administrative, or receptionist. Salesperson is one of the hardest for business owners to grasp because, well, it’s sales!! And selling in today’s world is much different than it was even 10 years ago, but one thing remains consistent: People do business with people they know and trust, or their friends know and trust. Today I’m talking about sales as being a connection with others, creating relationships, nurturing those relationships, educating those connections about what you do and how you can help them. Meeting, connecting and reaching out to people who need your services is sales. This article is not going to be about tips for closing the sale, but a few statistics I want you to be aware of as you’re developing your marketing plan. If you want tips, just Google “closing sales”. I did and got over 53 million hits. And if you’re trying to do the math, that means that 90 percent of your sales come after the fifth contact with a prospect!! Wow!! The contact can be any number of things, from meeting you in person perhaps at a networking event, talking with you on the phone, receiving your ezine and/or print newsletter or another mailing, or connecting with you through social media sites. So if you create a simple marketing plan and a follow up sequence, your closing rates go up, up, up!! If you need help not being that 90% that makes three or less contacts, call me. We can brainstorm and see what we can come up with!